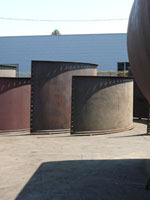 Dunweizer Fabrication, Inc., is a service-oriented fabrication shop with 32 years of experience in the industry. We offer creative, fast, competitive, and reliable service to fit the needs of our diverse customer base. 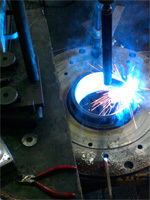 Dunweizer Fabrication will build new equipment and parts per your specifications. 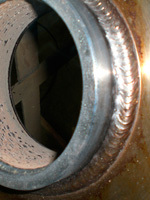 We will also repair your existing equipment or fabricate new or replacement parts for you to install. In 1976, E. Duncan started his business under the name of Bee Fabrication. 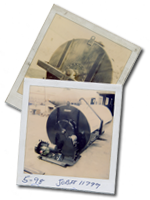 In 1985, a partner was taken on, and the name was changed to Dunweizer Machine and Fabrication. 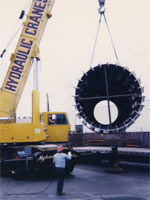 In 2001, the company split with Ed Duncan taking the name Dunweizer Fabrication, and the partner taking the name Dunweizer Machine. Both companies reside under the same roof, with the same phone number, but they remain separate entities. Dunweizer Fabrication has a full machine shop, able to do turning, boring, keyways (internal and external), as well as drilling and milling. In our fabrication shop, we do rolling, shearing, brake work, welding of all types and on most materials, steel, aluminum, and stainless steel. Dunweizer Fabrication currently employs 19 full-time people to take care of all your needs. With the demand for fabrication work on the increase, we expect to expand our employee and equipment base over the next few years. Please feel free to contact us for all your service needs.